The 2013 harvest was early, hot and compressed. 8.75 tons of grapes were picked and processed from 4.25 acres of estate vineyards over a 3 week period, starting on 30 August with the first pass through the Malbec, and ending on 18 September with the last of the Cab Franc. The squirrels took more than their share of the Sangiovese, which means we’ll have only half of the North Block Blend dry rose’ for 2013 than we have enjoyed from the 2012 harvest. The August heat stroke took its biggest toll on the Zinfandel ever, which means we’ll have another vintage of precious “blood, sweat and tears” for 2013. There is good news for all of us who fell hard for the first release of the 2011 Malbec this Spring. 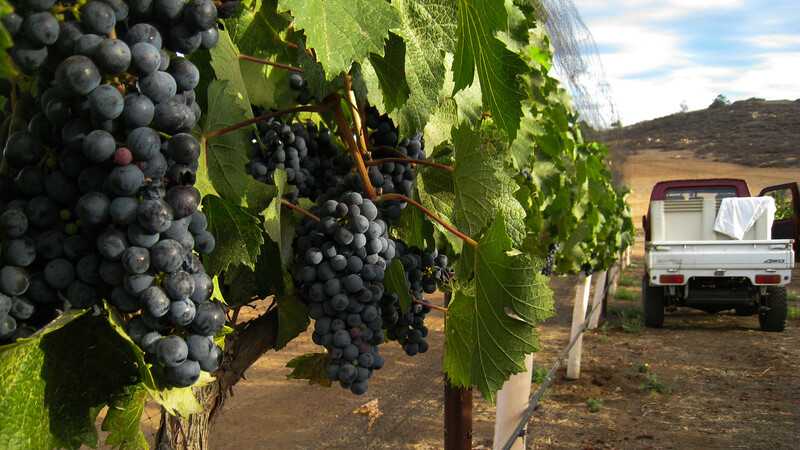 The 2013 crop was 2.2 tons (triple the yield of the already-sold-out 2011 vintage). The sugar level was moderate at 23.3%; just a bit lower than the 23.7% 2011 numbers, which means we should have another refreshing Summer red, which will contrast with the exuberant 2013 Zinfandel and intense 2013 Sangiovese. The big reds came in at 27.7% for the Zin and 27.2% sugar for our Italian friend, with more-than-decent pH and TA numbers (3.40 / .73 and 3.34 / .67, respectively). This bodes well for our goal of producing balanced wines with true heart and structure. Many thanks are extended to the Team Chuparosa harvest crew. It’s a true friend who shows up at dawn over and over again until every last cluster is safely fermenting in the winery. We are looking forward to sharing the proof over the next two to three years that it was well worth the effort.